“In The Netherlands we know about pumping water. We’ve been doing it for hundreds of years. Aquifer thermal energy storage (ATES) also is common in The Netherlands. Both techniques aren’t new. 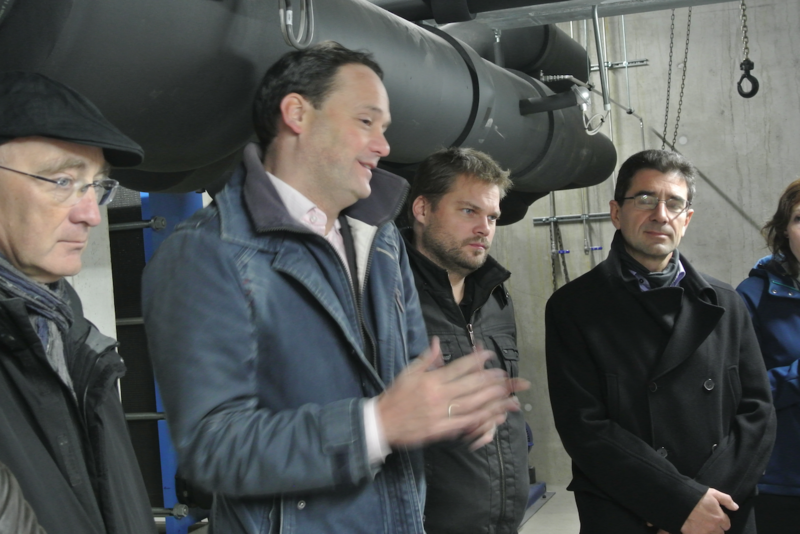 Combining these two proven technologies is however what makes the comfort cooling plant in our Houthaven district innovative.” Jannis van Zanten, project leader heat at AEB, explains when asked about the sustainable cooling project in Amsterdam which was co-financed by City-Zen. About ten years ago the City of Amsterdam decided the Houthaven district had to become a 100% climate neutral area. The entire energy demand of the newly-built homes, offices, school and other buildings had to be as sustainable as possible. Back then the city believed cooling would be in high demand for comfortable living. So it was decided that all newly-built apartments had to be connected to a central cooling system. That’s how the idea was born for the comfort cooling system a plant pumping cold water out of the river IJ in winter and storing the cold via aquifer thermal energy storage (ATES) for cooling apartments during hot summer days. By using the IJ water for cooling, there was no need for dry coolers on the roof of the apartment buildings. This free space could now be used for PV panels. In addition the apartments were connected to the city heat system in which heat is generated by the waste-to-energy plant AEB. Combining the sustainable cooling and city heat system, every home in the Houthaven district emits 80 % less CO2-emission than apartments using a boiler and air-conditioning unit. But, more importantly, it creates comfortable living. Suitable for all new buildings located close to a river ?